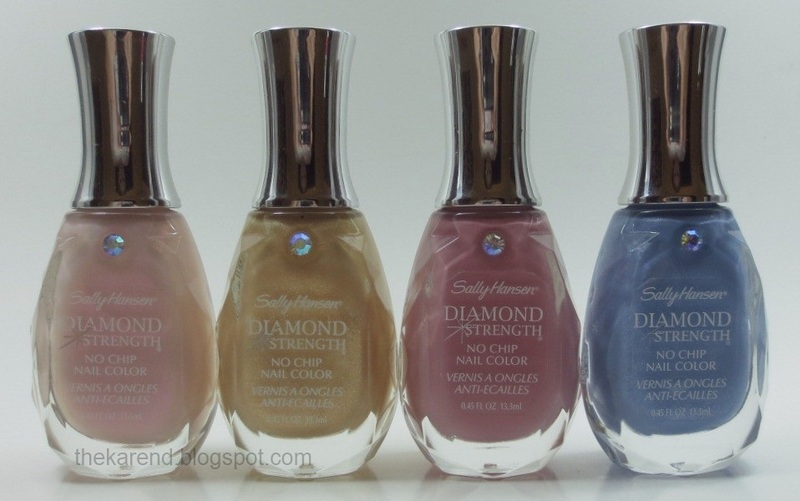 I've got swatches today of eight Sally Hansen Diamond Strength polishes, which I'm calling their summer collection, because they showed up at the beginning of summer (in a big endcap display at Walgreens as shared in my mid-June display post; they later showed up in a Nail HQ display at CVS, though I've yet to see a standalone display of them). One half of this collection is pastels (a couple sheer enough to be used as toppers): Myst-ique Pink, Costume Jewelry, Hide 'n' Pink, and Guess Blue. The other half is vibrant jewel tones: M-asked to Dance, Royal Invite, On Parade, and Private I.
I'm going to start with Guess Blue, as that's the first one which caught my eye when I saw the display. 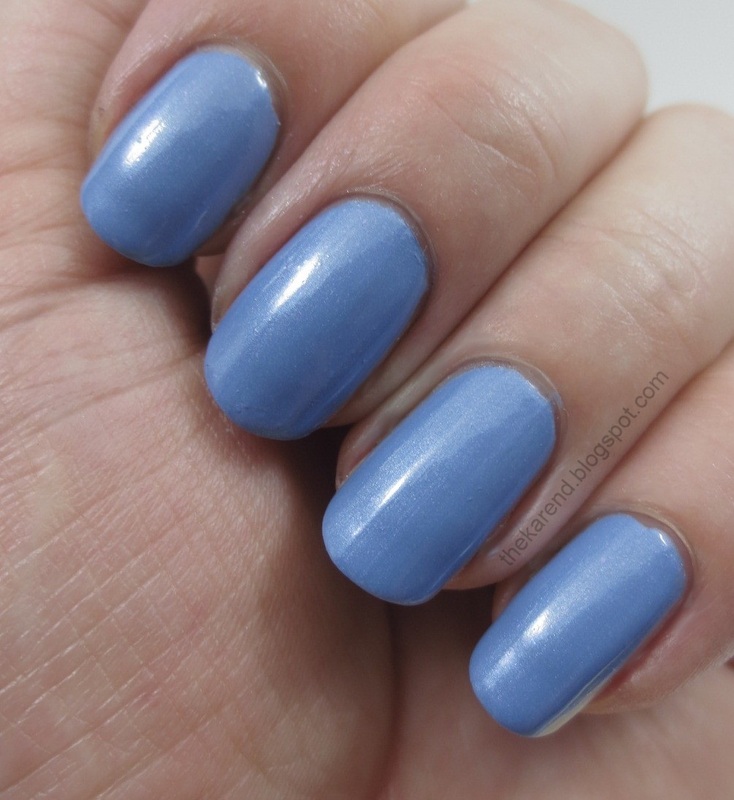 This is a cornflower blue shimmer. 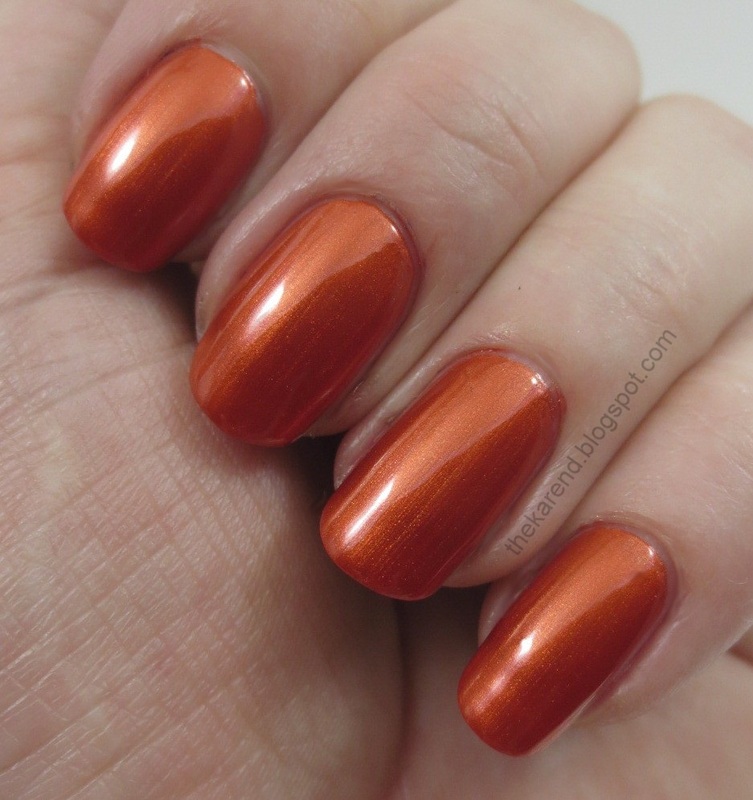 It's nicely pigmented and very well behaved—I only used two coats for the swatch and had no staining upon removal. Hide 'n' Pink is a dusty rose creme. It also only needed two coats. 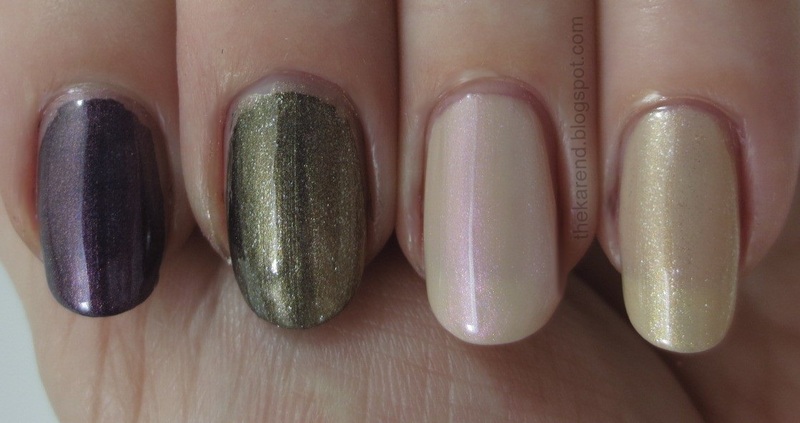 To liven up Hide 'n' Pink, I added one coat of Costume Jewelry, a sheer golden shimmer. I'm not usually much for gold, but I liked this one. 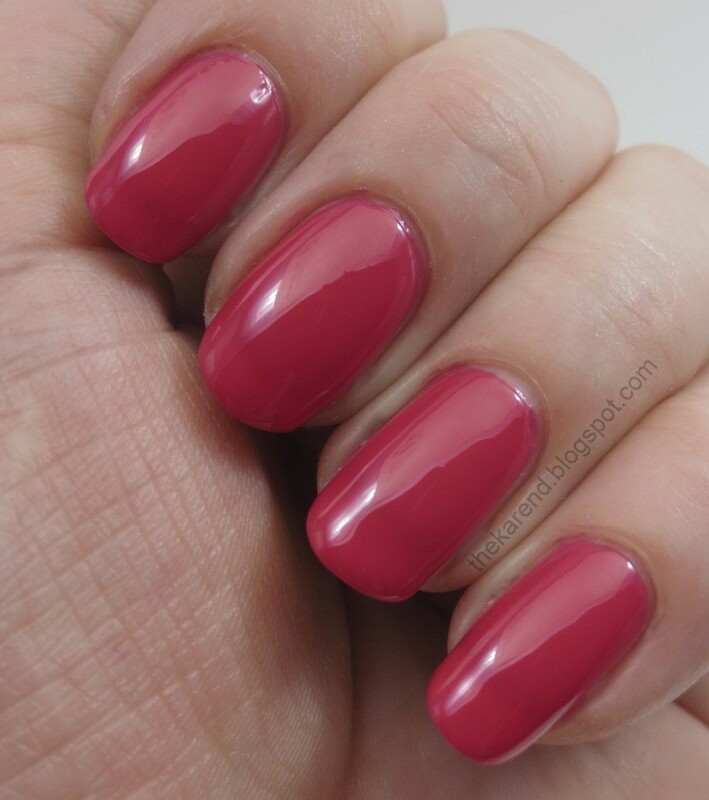 M-asked to Dance is a deep rose pink creme. I used three coats of this and still had a hint of what my friend Lizzy calls "phantom dirt line". The color was nice and shiny. 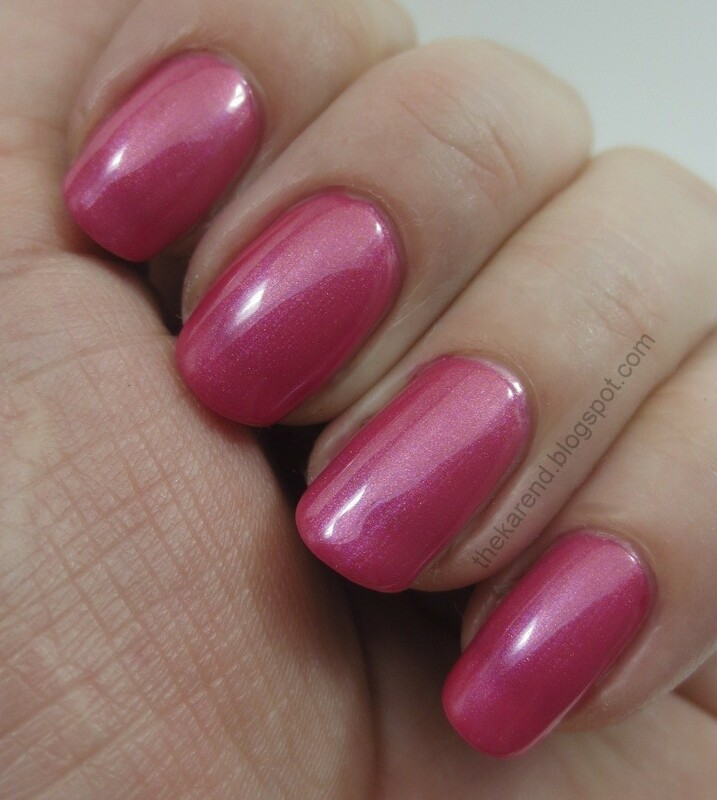 I topped M-asked to Dance with one coat of Myst-ique Pink, a sheer light pink shimmer. I saw pops of orange and purple from this in some lights. On Parade is the color I would give up first if someone told me I couldn't have the whole collection. 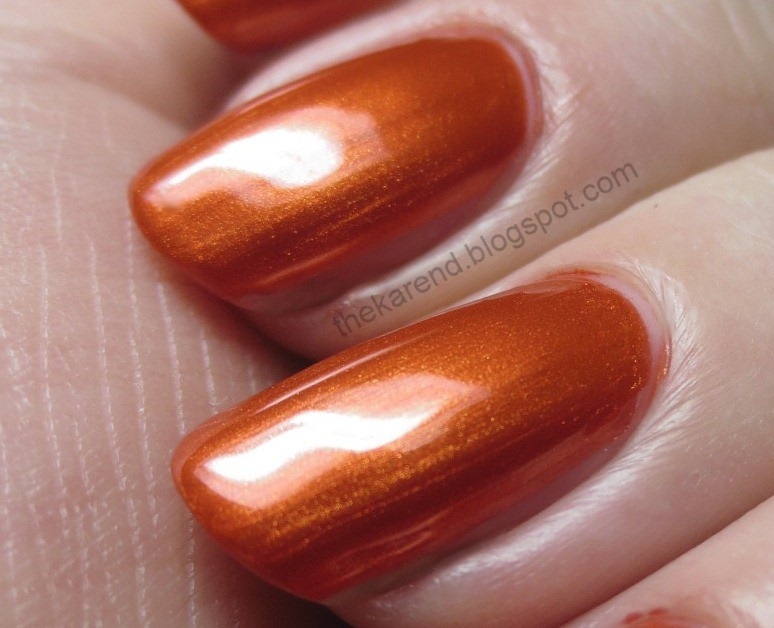 It's an orange shimmer with a slightly burnt tinge—it's very glowy but just not my color. I used three coats but could have done two if I'd made them slightly thicker. 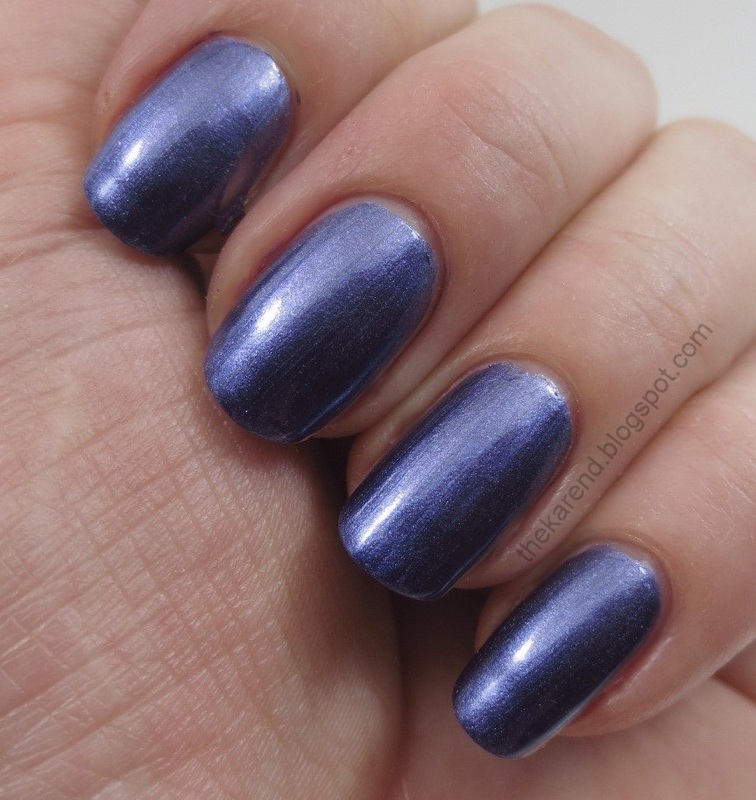 Royal Invite is much more my speed; it's a blue shimmer that leans ever so slightly toward blue violet. This was a two-coater for me. Though Guess Blue caught my eye first in the display, Private I wasn't far behind. 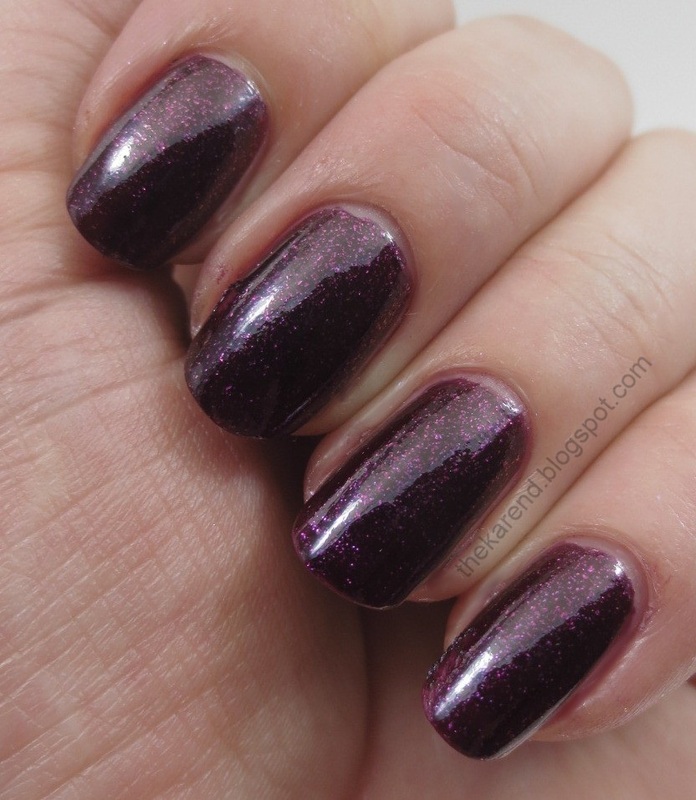 This is a deep, rich purple microflakie shimmer. 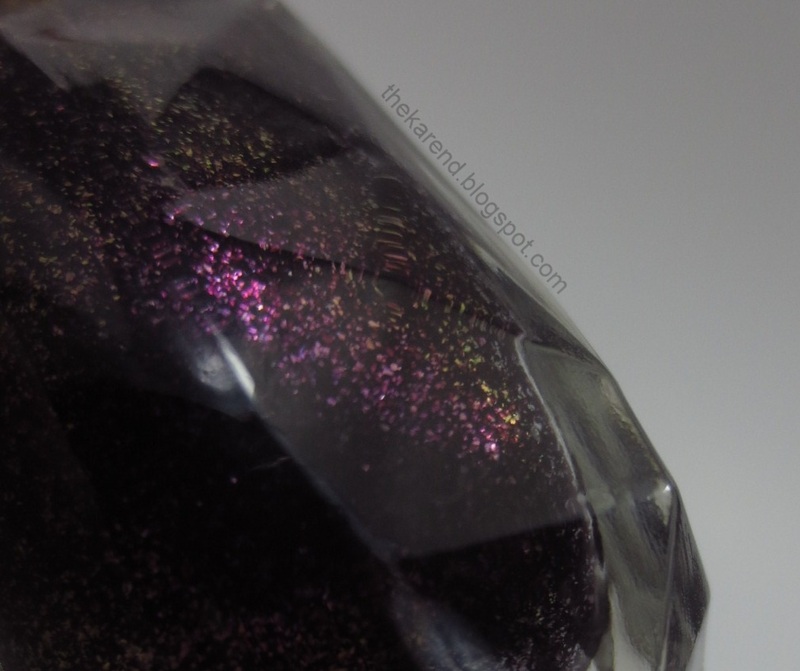 In the bottle, the tiny flakies showed a range of colors from magenta to gold. I was so excited to see the last one, Private I, on my nails that I failed to note how many coats I used for the swatch. Two, I'd guess, and looking at the photos I wish I'd added some topcoat as there's a tiny bit of texture showing from the microflakies not all floating in at the same depth in the base color. Nevermind that, it's still pretty. 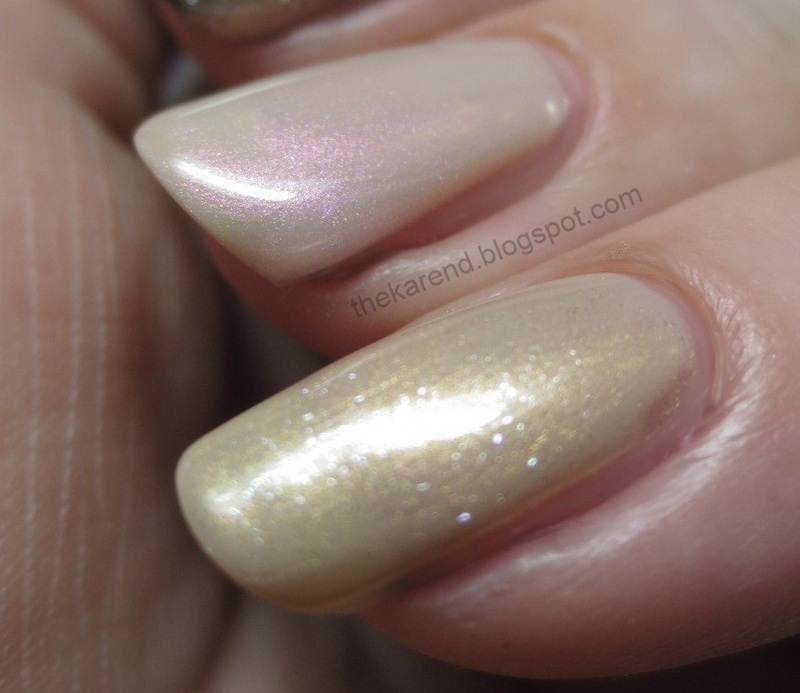 I spent some time doing weird poses to try and get the gold flash to show on my nails. 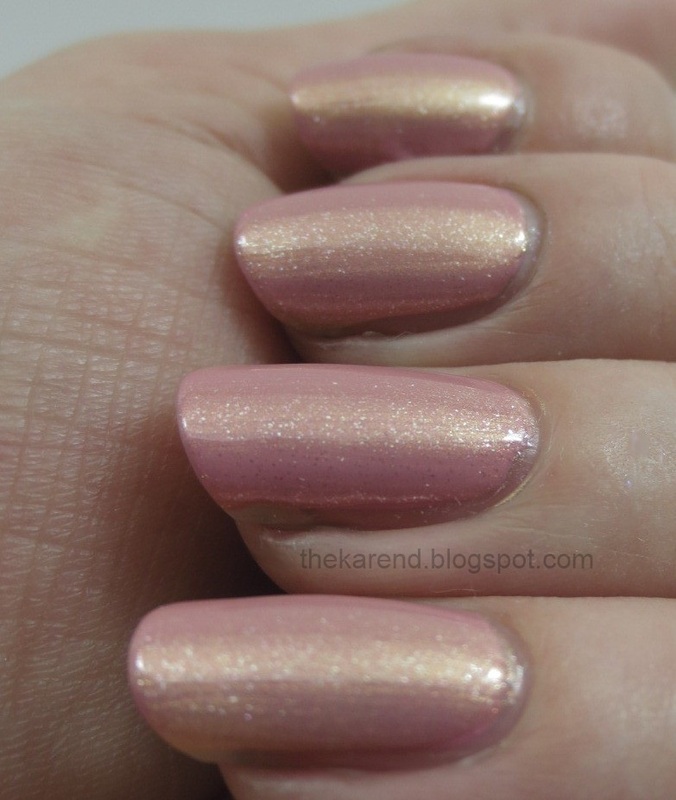 I never quite succeeded, but I had fun trying and did see a lot of gorgeous sparking off this shade. 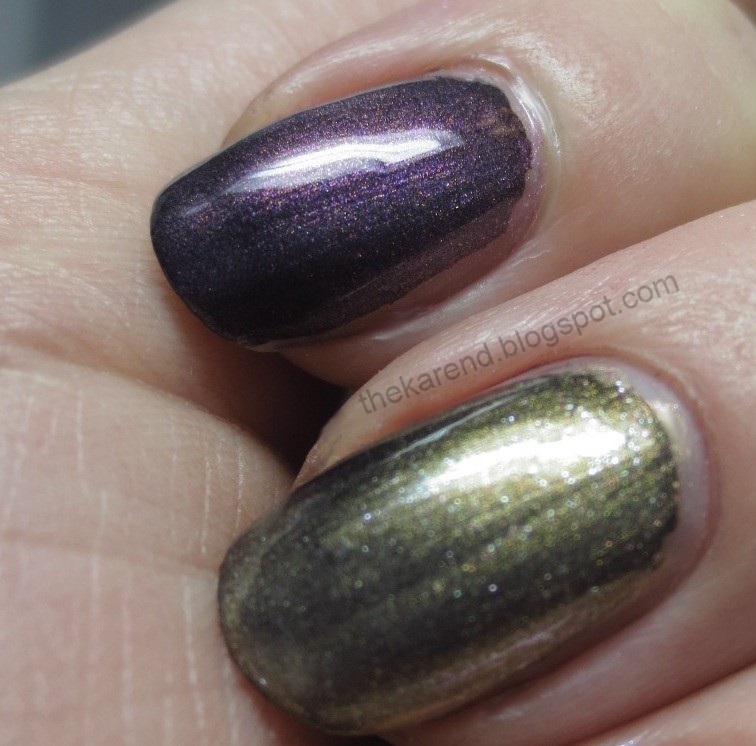 Before I go, I want to show you the two toppers over less colorful bases. Left to right below: Myst-ique Pink over black, Costume Jewelry over black, Myst-ique Pink over skintone creme, Costume Jewelry over skinton creme. My top three here are Guess Blue, Private I, and Costume Jewelry. What are your picks? I have actually not seen these before. I have no idea where they are hiding in my neck of the woods. The blues, orange and Private I are the ones that catch my attention. Private I seems like something I have seen Sally Hansen do before or maybe it is just my imagination. I love all the ones with shimmer! Pink, your Ulta has testers for nail polish, even drugstore lines? Strange; none of mine do. So is the last one you showed where you forgot how many coats you used the one called Private I???? That one is gorg! rockbeach meme, yes, that's Private I. 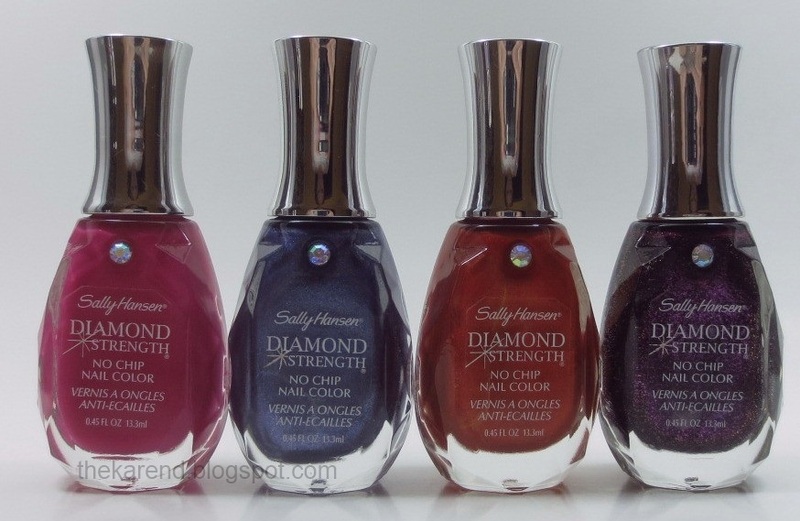 Apparently I was so excited to share the swatches that I failed to note that in the text. :) I just went back and edited for clarity--thanks for pointing that out! Private I is sooooo pretty!